A decreased capacity to produce metabolic energy was observed in many investigations [30-35], It was noted that ethanol increases basal metabolic rates and oxygen consumption , Changes in phosphate/02 and respiratory control ratios was also demonstrated with ethanol intake [30,36-38], In addition, mitochondrial cristae disruption, swelling, and existence of dense inclusion bodies was detected in laboratory animals receiving chronic ethanol intake [26,39-41], The toxic metabolite acetylaldehyde does not appear to cause these results for reasons discussed above. However, recent research on FAEEs may help elucidate the mechanism for ethanol's effect on the sarcolemma, SR, and cellular respiration. It was previously thought that the heart was unable to metabolize ethanol. More recently, however, isolated perfused hearts have exhibited a non-oxidative metabolism of ethanol , As shown in Figure 14.1, ethanol (ETOH) is esterified with fatty acids to produce the neutral molecule, FAEE. FAEE synthesis and accumulation of ethyl esters was observed in organs commonly damaged by chronic ethanol abuse . This putative toxic metabolite is produced in the myocardium, brain, pancreas and blood [6-16], Furthermore, uncoupling of oxidative phosphorylation was shown to linearly decrease with concentrations of ethyl oleate (a FAEE) below 40-50 ^M . Although fatty acids are known uncouplers of oxidative phosphorylation, they are usually bound to fatty acid binding proteins as seen in Figure 14.1. Therefore, they are unable to produce the uncoupling effect under physiological conditions. 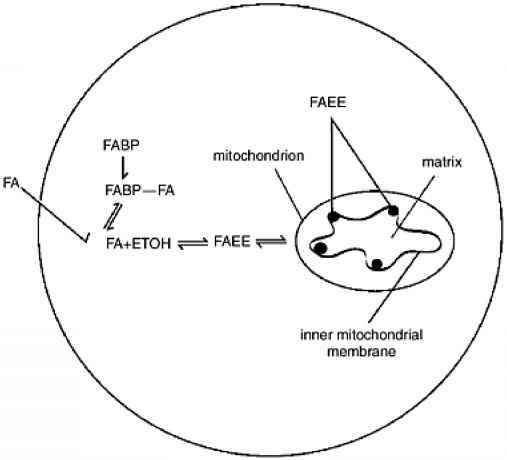 However, it was hypothesized that FAEEs act as a shuttle for the toxic fatty acids to reach mitochondria , FAEEs are less likely to bind fatty acid binding proteins compared to fatty acids due to their lack of negative charge. Once the FAEEs are produced, they are believed to bind mitochondria. This is supported by the finding that 72% of the FAEEs produced intracellularly were bound to mitochondria . Furthermore, 60 minute incubation of rabbit myocardium in ethyl [3H] oleate resulted in a linear increase in mitochondrial binding of the FAEE . Figure 14.1 Fatty acids (FA) are found linked to fatty acid binding proteins (FABP) and are therefore prevented from entering the mitochondria. However, FA can react with ethanol (ETOH) to produce fatty acid ethyl esters (FAEE) via fatty acid ethyl ester synthase. Once inside the mitochondria, FAEE can cause direct damage, but also their hydrolysis to fatty acids can lead to uncoupling of oxidative phosphorylation. Besides its uncoupling effect, evidence ofFAEE's toxicity has been reported by several other studies. One such study revealed that FAEEs can be a direct cause of membrane fluidity aberrations , In addition, pancreatic lysosomes incubated with FAEEs have shown increased instability , Decreases in protein synthesis and cell formation were also observed in HepG2 cells which had taken in ethanol , Histologic changes were also observed by light microscopyjust 4 days after 30-50 ^L injections of 50 ^M oleic acid ethyl ester solution. 30 days after the injection, myocytes had further increased in size and deformity  (Figure 14.2). Figure 14.2 (A) Histopathological analyses of control rat myocardium with 30 phosphate-buffered saline (PBS) + 0.01% dimethylsulfoxide. Sections stained with Mason trichrome. No cell damage is observed (original magnification x 300). 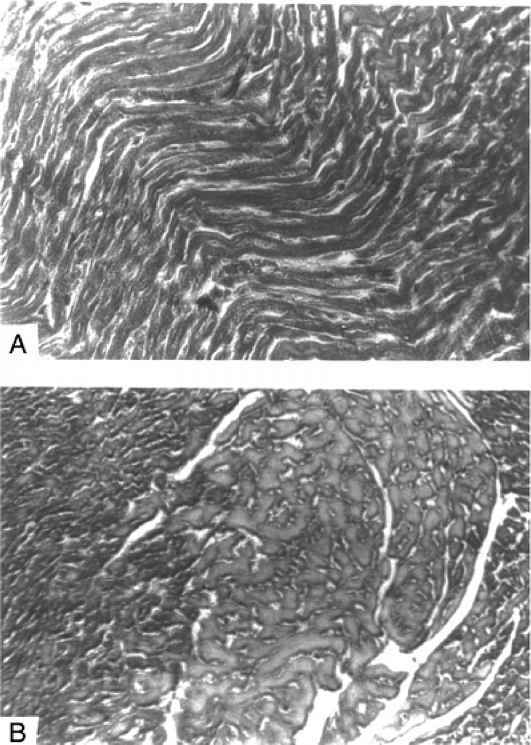 (B) Histopathological analyses of rat myocardium injected with 30 ^L of 50 ^M FAEE. Sections stained with Mason trichrome. The significant cell damage was observed after 30 days. The cells were enlarged and irregular in shape (original magnification x 300). Szczepiorkowski et al. reported a histologic distinction between human hepatoblastoma cells with and without FAEEs , In vivo damage to pancreatic tissue was also noted. FAEEs in reconstituted LDLs were infused intra-arterially to rats. Pancreatic injury from the infused ethyl esters was indicated by pancreatic trypsinogen-activation peptide increases, creation of pancreatic edema, and acinar cell ultrastructural changes , It is important to point out, however, that no histological alterations or edema were observed in the myocardium. These results may be confounded due to the nonuse of ethanol in the study. If ethanol was given to the rats, it is reasonable to believe that FAEE concentrations would be significantly higher due to endogenous synthesis ofFAEEs. Serum FAEE appear to favor lipoprotein vs. albumin binding during increased concentrations of the ethyl esters. FAEEs also display a lack of competition with free fatty acids for albumin binding , Gorski et al. have shown that FAEES ability also exists within leukocytes. The highest synthase levels were measured in the natural killer (NK) cells. CD4+ T cells had 50% ofthe FAEES levels as CD8+ T cells . 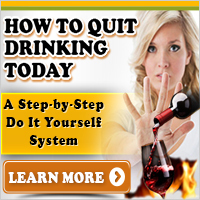 Interestingly, alcoholics were measured to have approximately half the leukocyte FAEES levels as non-alcoholics. This may suggest that alcoholics possess a genetic predisposition to chronic alcohol abuse due to a reduced ability to produce toxic metabolites. 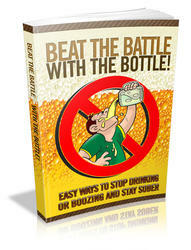 An alternate conclusion, however, is that alcoholics possess a smaller FAEES capability due to an adaptive response .